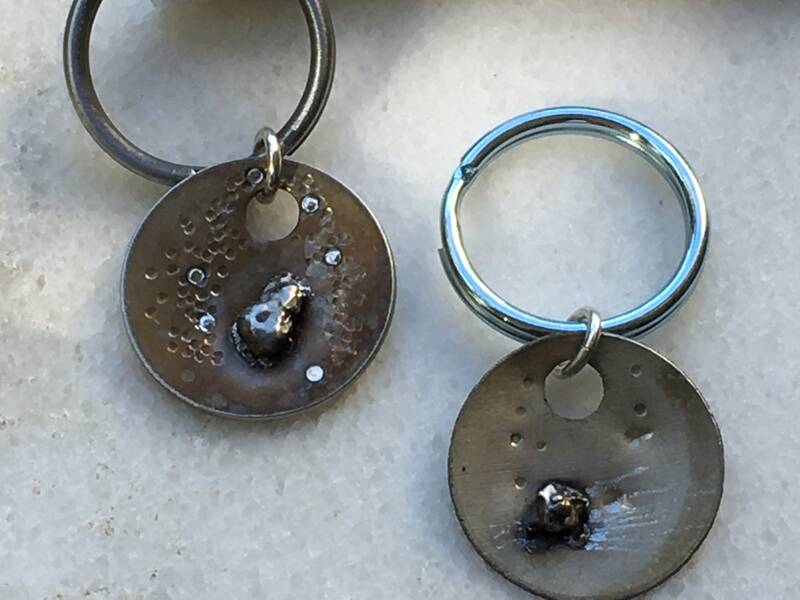 Meteorite Keychains are Unique Gifts For Men or that science lover person in your life. 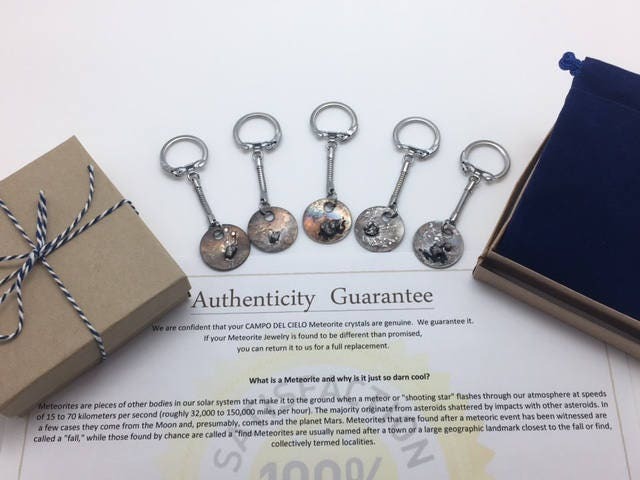 Unique Gifts for men or Father's Day Gifts don't have to break the bank. 11th Wedding Anniversary is Steel and 6th Wedding Anniversary is iron! 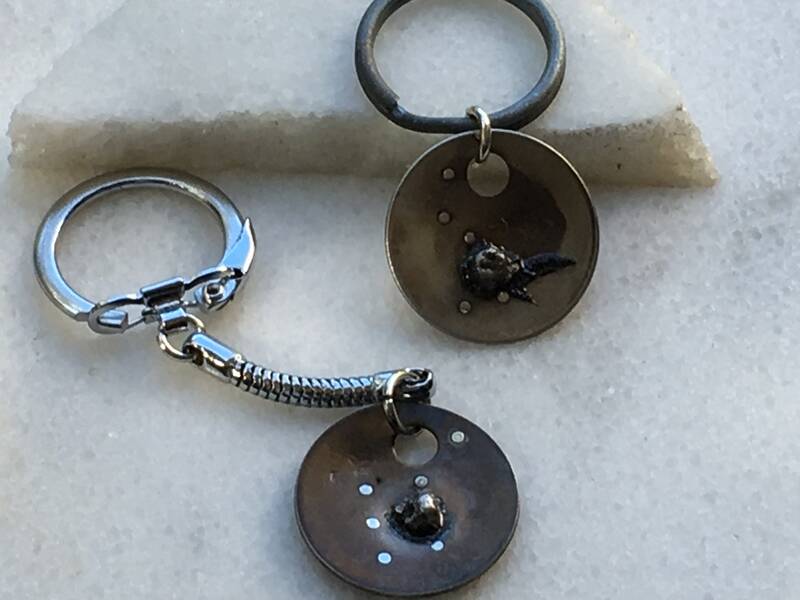 Unique Men's Gift, handmade in the USA! 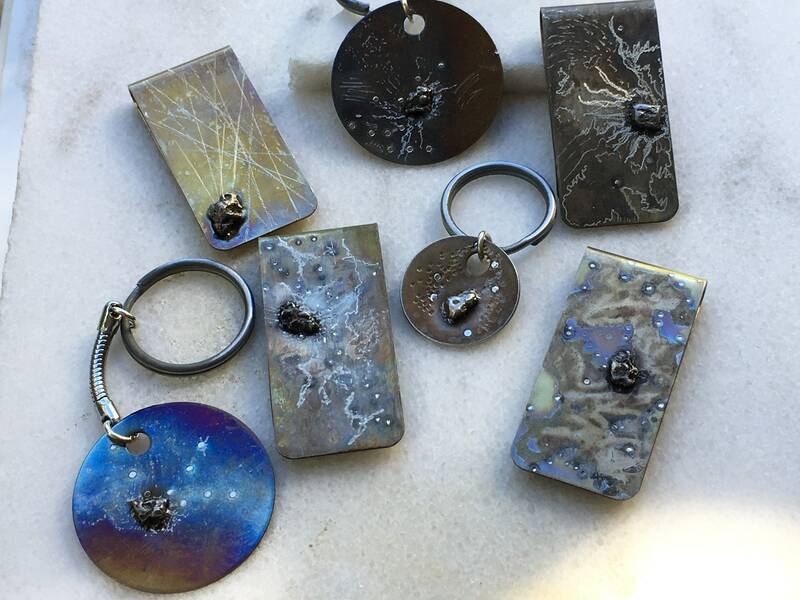 +++++Each Keychain is handmade and will vary slightly. The first photo is the keychain that you will be buying but please do anticipate variations. 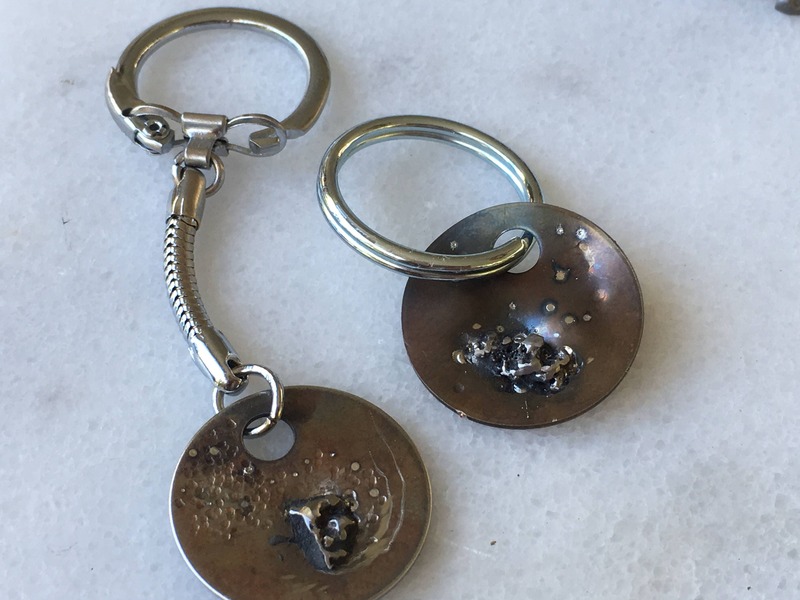 Some keychains have 2 Meteorites while others have one. I do this based on size and what looks right. 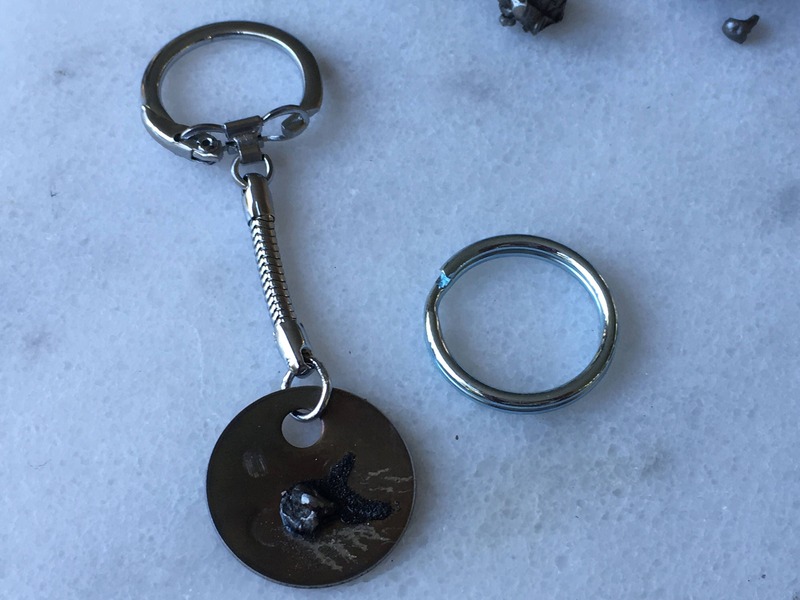 This is a listing for 1 keychain. If you would like to see a pic of the various ones to choose from please message me. They are all very cool but are each unique! 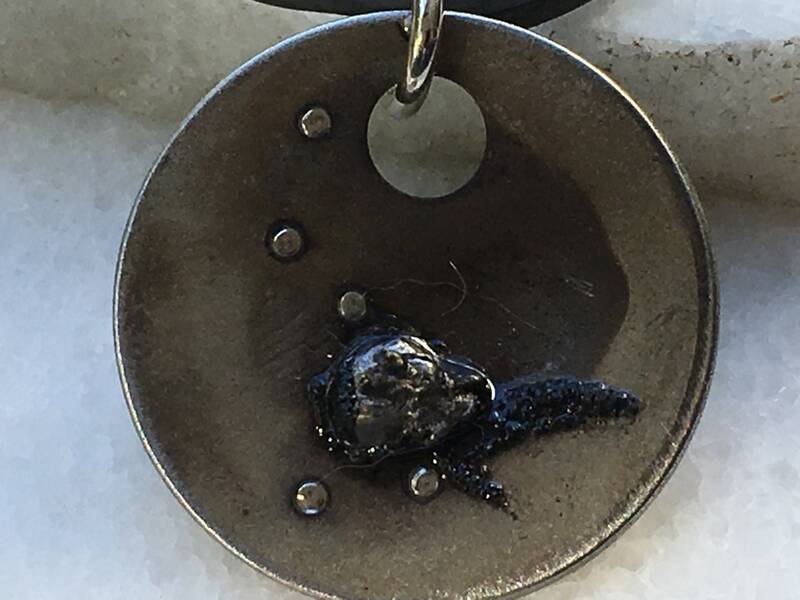 This Meteorite Keychain is made by giving the steal a repousse technique and then by adding a patina through heat process. 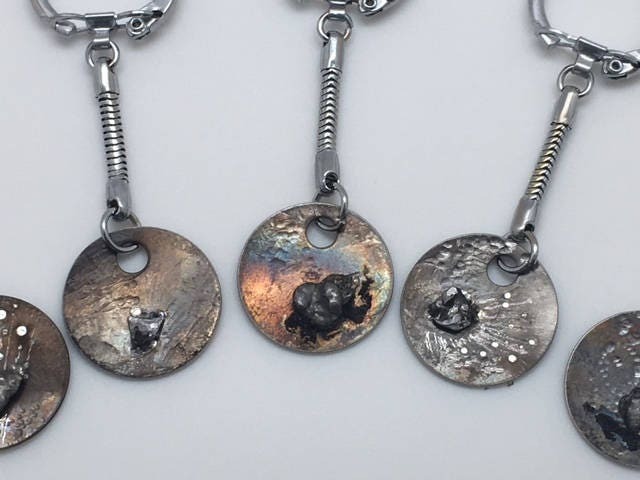 The overall look makes the meteorite pop and inspires that dreamer in us all. Show him he is made of Star Stuff! 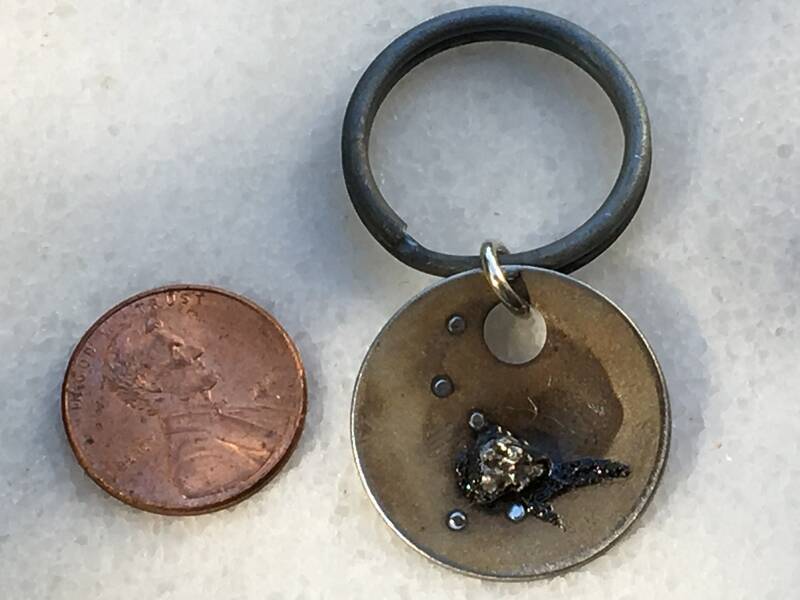 ** This is my small sized keychain. 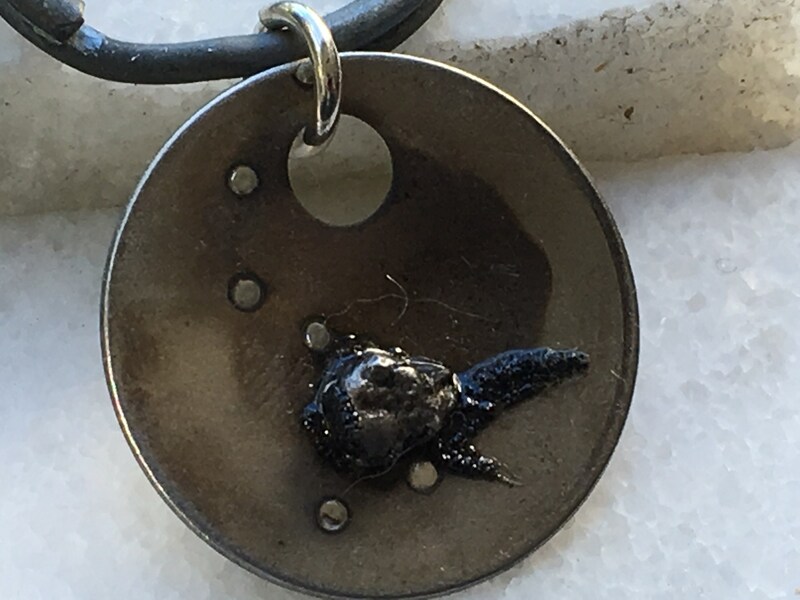 If you would a larger keychain please check out my other listings.